Drapes over a concrete wall, reuqires special tools to make the holes in the wall, for the anchors you need. To drill a hole into a concrete wall you actually need a special concrete drill bit. A regular drill bit will break and/or not do the trick. 1: First thing to do is figure what size anchors you are going to use quarter inch, half inch etc. This will vary, on the size of the rod you purchase. 2: Once you have the size you want you will then want to go over to the drill bits and pick up this type of bit. 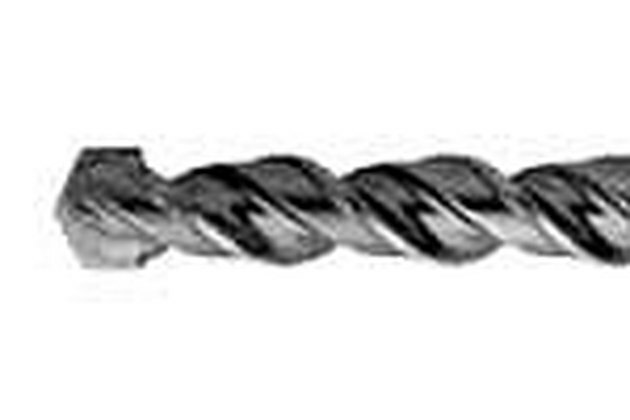 It is called a masonry drill bit and has a special head to it for drilling into concrete. I have added a picture for reference, make sure to get the correct size bit for your anchors. 3: Once you have the rod, drill, drill bit, anchors, it is now time to go home, and measure. 4: From the top of the ceiling, measure down approximately where you want the rod to hang, once you have that measure it on both sides. So if it is six inches down from the ceiling make it the same on both sides. 5: Now that you have you measurements, place the masonry drill bit into your drill, (I suggest a power drill not a battery drill for this procedure as a battery drill can wear out.) begin to drill your holes based off what you marked, place your anchors into the holes you have drilled, and attach the rod, to the anchors.